Email Keystonealliancegaylifenewsletter@hotmail.com with any comments. It's FREE to have a posting. If at anytime you click on any above websites and it does not work, please let us know at keystonealliancegaylifenewsletter@hotmail.com . Dykeface is Your Space! The Newest online Social Networking Site for women. Create your own Community that offers a place for gals to chat, shop, and post videos. This site works just like myspace and facebook. Members can use the same templates for their profile page as they use in myspace. Attached is your Social Site User manual. Be the first to Get on board before your friends! See you on Dykeface. Please check it out for information about our programs at the only AIDS community center in Western Pennsylvania. Shepherd Wellness Community is a safe, supportive community empowering people affected by HIV/AIDS to live with dignity. Shepherd Wellness Community is the only AIDS Community Center in western Pennsylvania and the only AIDS community serving the 11-county region of southwestern Pennsylvania. SWC is often the first place a person seeks help after an HIV positive diagnosis. Since its inception in 1987, Shepherd Wellness Community has offered supportive services for people infected and affected by HIV/AIDS. In the summer of 1987, four young men living with AIDS, a social worker and a physician met with Episcopal Priest Father Lynn Edwards to discuss the effects of AIDS and HIV infection in the Pittsburgh area. Then, as today, Pennsylvania ranked among the top 10 states with the most cases of AIDS. Yet there was no place in Pittsburgh where people with this disease could socialize with their partners, families and friends in a safe and secure setting. From that meeting grew the Shepherd Wellness Community, a gathering place and resource center for people with HIV/AIDS and their loved ones. The first dinner was held in October 1987, and the tradition of nourishing meals accompanied by health educational programs, peer support, wellness classes and socialization continues to this day. A concerned group sitting around a kitchen has become the only AIDS Community Center in western Pennsylvania. Read more. Shepherd Wellness Community is a tax-exempt 501(c) (3) not-for-profit organization. United Way Donor Choice Number: Indicate 3186 as your donor choice preference. Donations to the Shepherd Wellness Community are deductible to the fullest extend allowed by the IRS. Are you a single Gay male or female looking for other Gay singles or other likeminded people to chat to? If you are then you need look no further then Gayd8online. Gayd8online is dedicated in bringing the Gay Community Together from all over the world and offers its members lots of great features and opportunities for successful online chatting or dating. Take a look yourself. It's free to Register. While escorting group tours over the last 25 years, we have garnered the experience and pride to provide you with the highest quality leisure group tour travel choice in the area. Apple Tours takes you there! West Apple Tours offers many group tour choices for anyone seeking to travel in a leisure group tour setting. Choose from one of our ready made tours, or if your group or organization is seeking group travel assistance we can help. We offer great incentives for group leaders! So spread the word - traveling with a group of friends can be alot of fun and full of adventure! West Apple Tours Takes You There! Please contact us direct to book any events on the event list or if your group needs assistance in organizing a travel event. "Helping our neighbors and our environment, one tote bag at a time." Founded in 2001, Marriage Equality USA is a national grassroots organization whose mission is to secure legally-recognized civil marriage equality for all, at the federal and state level, without regard to gender identity or sexual orientation. For more information go to www.marriageequality.org. Gay and Lesbian Directory serving the LGBT community. We are #1 on Google with over 30,000 hits a day. You get a full page with contact info, picture gallery, description, and map with directions to your business. Click on 'My Account' at GayLesbianDirectory.com to create an account and add your listing. It's the perfect tool for marketing to the loyal LGBT community. 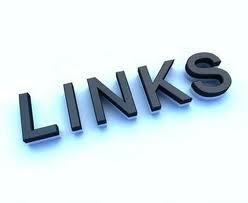 The listing will link to your website, raising the ranking of your website with search engines. If you already added a listing, you probably used a different email address than the one in this email. Just let us know your Account email, and we will make sure you don't receive further emails. The New Embassy is located between Liberty and Mechanic Streets at 49 Baltimore Street in Cumberland Town Centre. More information and group discounts are available by calling 301-722-4692. Erie Gay News - Serving the LGBT Community since 1992! Check us out online at http://www.eriegaynews.com. See all of our email lists at http://lists.eriegaynews.com. "Covering news & events in the Erie PA region since 1992"
and OTV. It's The One! The Philadelphia Gay News is the area’s largest and oldest publication targeted to the lesbian, gay, bisexual and transgender community. Started in 1975, we strive to focus on and promote businesses and populations within our community to engender mutual success. This includes publishing special issues to highlight areas such as marriage, pets and health, as well as tackling sensitive issues like LGBT suicide and homelessness. As a community newspaper, PGN’s mission is to be a platform for the LGBT community to communicate with each other on all their various viewpoints, as well as to communicate with the mainstream/ally community. We promote the community within and without. To be that platform, PGN reaches out to, builds rapport with and listens to its readers and supporters — and its critics. We strive to make the LGBT community more informed about resources in the community and to educate the non-gay community on who we are. Like any group, the LGBT community needs a communications tool to keep abreast of areas of concern, such as health issues and legislation, and to celebrate our successes. Read more: PGN-The Philadelphia Gay News. Phila gay news. philly news - The source for news, classifieds and events for the lesbian, gay, bisexual and transgender community in Philadelphia. WEDNESDAYS ARE KARAOKE NIGHT AT CLUB 231!!! Jones Pond Campground & RV Park, 9835 Old State Rd, Angelica, NY 14709-8729). Phone: (585) 567-8100. Email: info@jonespond.com. Browse to http://www.jonespond.com. Contact: Jim. Phone: (724) 637-2402. Email: campd@aol.com. Browse to http://www.campdaviscampground.com. Phone: (814) 452-0125. Email: TheZoneDanceClub@aol.com. Browse to http://www.thezonedanceclub.com/.